A CAPTIVATING CLOSE-UP!-- This year's Silver Panda design features the face of one of China's beloved mammals, transfixed by a soon-to-be-devoured bunch of bamboo leaves. Set against a forest background and framed by leaf-textured fields, this is one of the China Mint's most attractive designs to date! 30 GRAMS OF HIGHLY PURE SILVER!-- That's right! 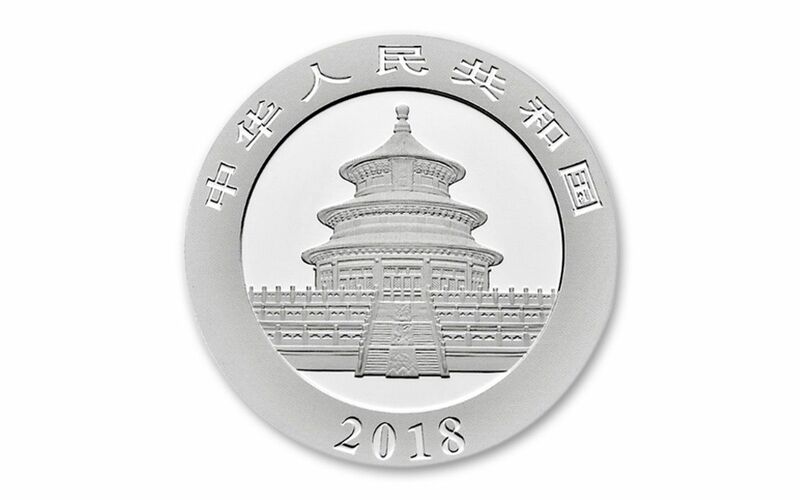 Instead of being issued according to troy ounces, Silver Pandas have been minted in metric weights since 2016. Produced by the artisans of the China Mint, each of these Silver Pandas is struck in 30 grams of 99.9% fine silver. 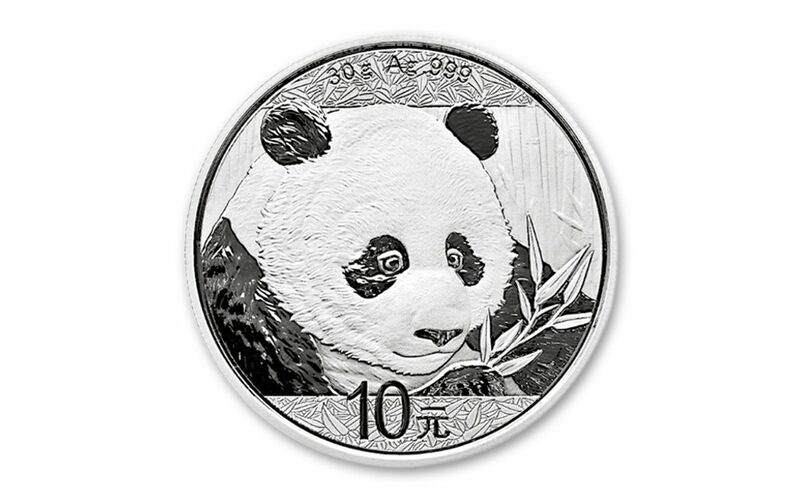 CHINA LEGAL TENDER-- Each 2018 30 Gram Silver Panda is 10 Yuan China legal tender, as seen right underneath the Panda's profile on the coin's reverse. Flip the coin over and you'll see the date, the inscription of "People's Republic of China" in Chinese and an image of the Hall of Prayer for Abundant Harvests, located in Beijing's Temple of Heaven. CERTIFIED NEAR-FLAWLESS-- Your coin will come certified Mint State-69 (MS69) by Numismatic Guaranty Corporation (NGC), a distinction that means your almost-flawless 2018 30 Gram Silver Panda will showcase an impressive full strike and indistinguishable imperfections. 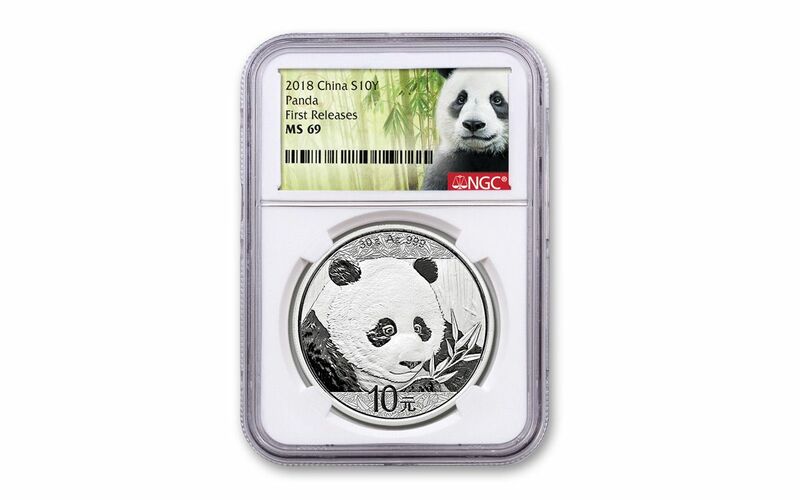 In addition, your Silver Panda will be certified First Releases (FR) by NGC, meaning that it was among the first struck by the mint and was verified within the first 30 days of issue. 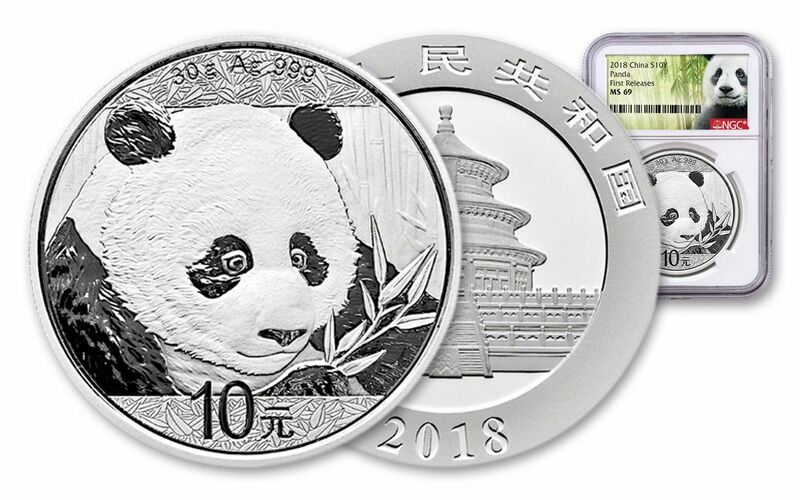 Finally, your coin will be sonically sealed in an acrylic holder with a special giant panda label, giving you the best in protection while granting clear sightlines into every beautiful detail.